Home / Archive by Category "Welcome to the Raton Museum"
The Raton Museum Gallery will dawn handmade textiles crafted by a group of local artisans. The Raton Museum invites you to attend an afternoon of Christmas joy, fellowship and remembrance. It is the time of year for us to say thank you to each and every one of you for your continued support in preserving our history. The Raton Museum 108 South Second St. Presented by: Fred Friedman – NM Railroad Historian, Member of Historical Society of NM Speakers Bureau. Railroads were the Space Program of the 1800’s and communities like Raton, Clayton, Cimarron, Las Vegas and others were linked together by steel rails, thousands of miles long and four and one-half feet wide. The Raton Museum and the Raton Chamber will be hosting a reception on Saturday, July 28th from 2-4pm at the Raton Museum,108 South Second St. 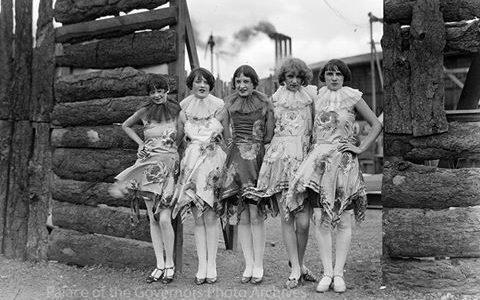 The Museum will feature an exhibit of images by photographer Robert L. Campbell. Reflecting on the journey of this historic collection will be…. Paraphrasing NM Magazine CEO Carolyn Graham …. Campbell captured the essence of his hometown and more than a century later his work ignited the curiosity of an entire region. You won’t want to miss this developing story! At the Raton Museum on July 7 historian Stephen Zimmer will survey the events that led up to the confrontations of the war which was one of the most famous in the history of the American West. Relying on first person accounts and extensive research he will detail episodes of the discord and the resultant aftermath that has shaped the hsitory of Colfax County to the present day. Zimmer is the former Director of Museums at Philmont Scout Ranch and has been studying and writing about the history of North Eastern New Mexico for more than 30 years. He is the author of 10 books including “For Good or Bad: People of the Cimarron Country”. 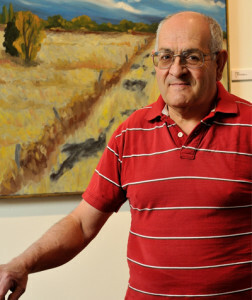 Steve Cormier earned a Ph.D. in American Studies from the University of New Mexico, with a dissertation on twentieth century New Mexico ranching. He has published chapters on ranching in two books, “Essays in Twentieth Century New Mexico History”(UNM Press) and “The Multicultural Southwest” (University of Arizona Press). From 1979 to 1988, he worked on ranches and farms in the Flint Hills of Kansas and around Santa Rosa and Fort Sumner, NM. His music derives from that experience. He also has played supporting roles in numerous television shows and films, including “Breaking Bad,” “Gunsmoke” and “Wyatt Earp.” He has recorded several albums. Cowboy music has evolved from the open range and ranch employees who worked and rode after cattle during the late 19th and early to mid 20th century. These include songs written by ranch hands about horses, cattle and lost love. Others add death and the devil to the story. But all have in common the expression of what ranch and farm work was like during this time. Steve Cormier performs these and also songs he has written, reflecting his years as a ranch and farm hand. This event is presented with the Assistance of the New Mexico Endowment for the Humanities. There is no charge for this event. Explore and see all the wonderful things The Raton Museum has to offer with this video created by Marty Mayfield. Visit the Raton Museum in Downtown Raton. The USS RATON (SS/SSR/AGSS-270), a Gato-class submarine, was a ship of the United States Navy named for the raton, a polynemoid fish inhabiting semitropical waters off the Pacific coast of America. The Raton SS-270 was laid down May 29, 1942 by Manitowoc Shipbuilding Co., Manitowoc, Wisc. ; launched January 24, 1943; sponsored by Mrs. C.C. West and commissioned July 13, 1943, Lt. Comdr. J.W. Davis in command. Following training in Lake Michigan and at Coco Solo, C.Z. ; Raton sailed for the southwest Pacific September 19, 1943, and upon arriving at Brisbane, Australia, on October 16, joined Submarine Force, 7th Fleet. After being placed in reserve in the fall of 1948, Raton was decommissioned at New London, Conn., on March 11, 1949. She remained in the Atlantic Reserve Fleet at New London until July 1952 when she was towed to Philadelphia Naval Shipyard for conversion to a radar picket submarine. Redeisgnated SSR-270 on July 18, 1952, Cmdr. J.K. Wills in command, Raton underwent training for several months prior to being ordered to the Pacific where she spent the next year in local operations, before departing from San Diego on May 11, 1955 for a 6 month deployment to WestPac. Raton then was assigned for her second 7th Fleet deployment, May 1957 training in exercises off the Pacific Coast. After overhaul the submarine deployed to the 7th Fleet yet another time from March 1959 to November 1959, participating in operations with SEATO and the Japanese Maritime Self-Defense Force. Raton sailed west for her fourth 7th Fleet deployment in July 1961, returning to Sand Diego in December, where she engaged in fleet training operations off the west coast of the United States, providing services for air, surface, and submarine forces. In 1966 Raton once more followed the setting sun for another tour of duty with the 7th Fleet. While deployed, Raton exercised with SEATO naval units in Exercise “Sea Imp”. Her final years were spent in local operations, reserve training, and as a test ship. Raton was decommissioned at Mare Island Naval Shipyard and stricken from the Navy List June 28, 1969. RATON was awarded six battle stars for service in World War II. 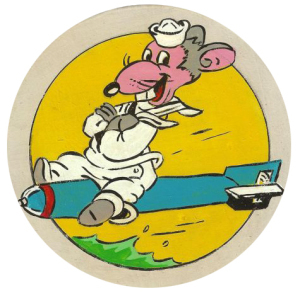 The insignia was worn on fatigues and off duty jackets by the crew of the “Raton”. Roger Sanchez has been apart of the Raton Museum family for over 20 years. His knowledge of Raton, Colfax County and the surrounding area has been a great asset to not only The Raton Museum but also to the thousands of visitors he has greeted at the Museum over the years. Roger wants to share more of his knowledge with you! “ROGER THAT” is a series of posts featuring fun facts, history and trivia about Raton and the surrounding area. Please check back for new installments of ROGER THAT! Raton was once home to 3 Railroad companies. Each having a depot located here. At the Height of the Railroad as many as 65 trains ran per day. The Raton Museum is a non profit organization, therefore we rely on the support from the community and the generosity from people like you. There are many different ways to become involved with The Raton Museum and not all of them necessarily require a monetary contribution. Below is a list of ways and information on how you can become involved with The Raton Museum. All contributions to the Museum are tax-deductible to the extent that the law allows. All and any dollar amount donations are greatly appreciated and are needed to help operate The Raton Museum. Your monetary donation will go directly to the daily operation of the Museum, pay for utilities, upgrades to the facility, the purchase and restoration of artifacts, exhibits/guest speakers and much much more. You can drop off donations directly to the Museum (located on South Second Street in Raton). You can also mail donations to the address below. Please call the Museum if you have any questions at 575-445-8979. The Raton Museum is always in need of volunteers to help around the Museum. Whether it be just looking after the front desk while a staff member gives a guided tour, helping set up exhibits or just helping the Museum with day to day operations. Regardless of what we have you doing we strive to put all our volunteers in positions that they are comfortable in and enjoy. If you are interested in becoming a volunteer or have any questions please contact us at 575-445-8979 or please feel free to email us. We will be happy to answer any all questions or concerns you may have about volunteering. Become apart of the strong foundation that the Raton Museum is built upon. Help support the Museum, get involved and sign up to be a member today! Membership dues are $30.00 annually and are 100% tax-deductible. Call, email or stop by the Museum to sign up to become a member. Do you own a piece of history? Do you want to share that history with the community and the thousands of visitors that come through the Museum’s doors every year? At the Museum we are always happy to accept any historically significant items that you or your family may have. Please contact the Museum to arrange a donation today. Honor love ones by donating to the Raton Museum. Ask us about our Memorial Gift Program and donate to the Museum in someone’s honor! The Museum proudly preserves the name of honoree and donor in Memorial books that are on public display for all visitors. Renovations and refreshing of the Raton Museum is taking place in 2014 and we request your patience during this process. The Board of Trustees want to take this opportunity to thank THE LAIRD PRIVATE FOUNDATION for their commitment to preserving Raton’s history and culture through a generous grant for the renovation of The Raton Museum. The LAIRD PRIVATE FOUNDATION was established for the charitable, literary, educational and cultural benefit of Raton and the cultural improvement of the residents of the City of Raton, NM; The Raton Museum was established to increase and diffuse knowledge and appreciation of all cultural subjects and to that end to establish and maintain in the City of Raton, NM, a museum to collect and preserve objects of cultural history… Together The Laird Private Foundation and The Raton Museum has ensured that Raton’s diverse culture and history will be available to future generations. The Raton Museum is a not-for-profit 501(c)(3) tax exempt organization under the IRS Code, sections 509(a)(1) and 170(b)(1)(A)(vi) and as such contributions are deductible as described therein.